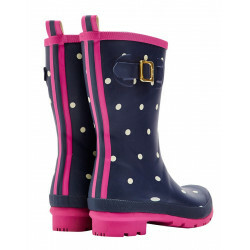 These elegant navy boots are bright coloured with original prints: the perfect attire for a walk on the seaside or as a wet weather gear. 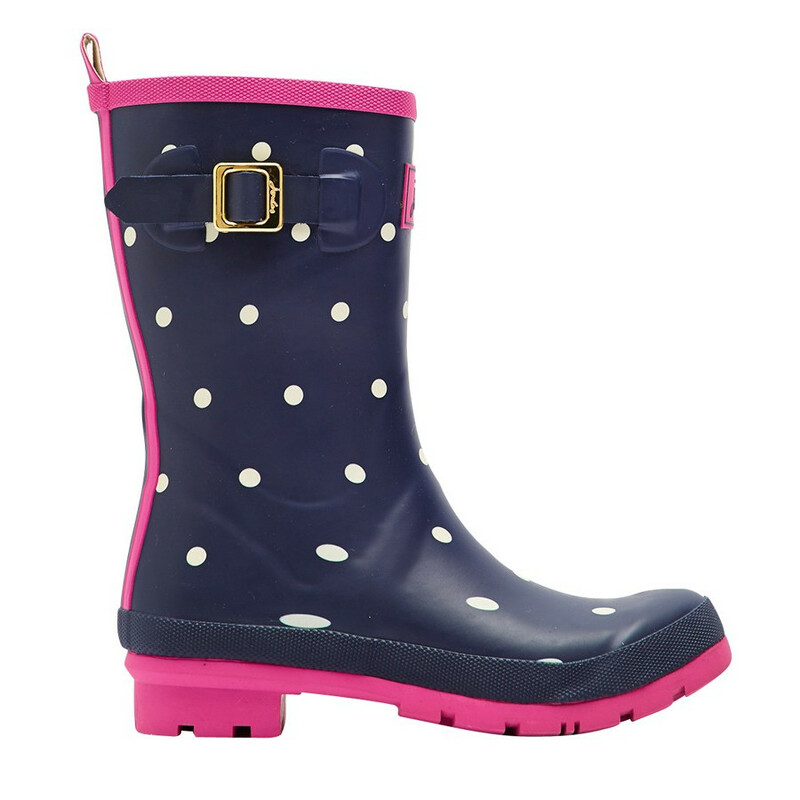 Easy to wear, these medium-length feminine boots have a pink piping in the rear, white dots and a golden buckle on the side. Your size may be available in our stores, please contact our Customer Service for any online order at +33 (0)2 98 85 47 37.